Ish Food Truck comes to Waterloo! It’s taken us forever to get the truck done, but we’re finally there! Grand opening is set to take place on June 27, 2014 in Uptown Waterloo! The food truck will roam the streets of Waterloo, available for major sporting events, festivals, lunches and yes, WE CATER! We’re bringing back our award winning fish & chips, poutine and a few other items as well. 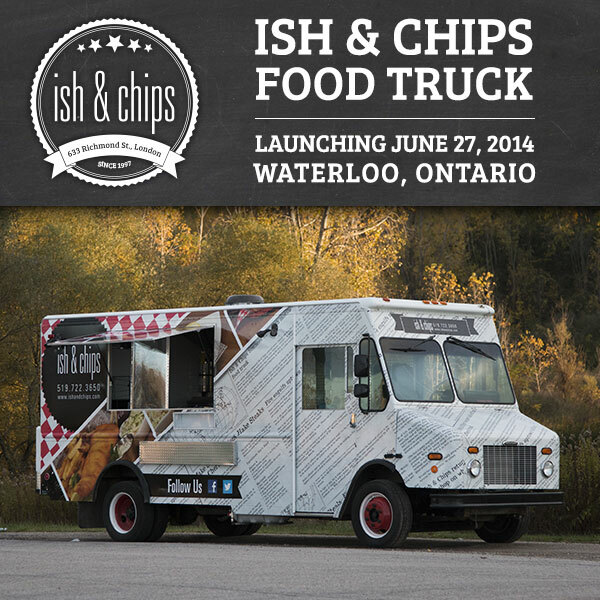 Follow us on Twitter at twitter.com/ishandchips or like us on Facebook at facebook.com/ishandchips or call the truck’s cell phone at 519-722-3650.